On March 16, 2015, Business Insider released an article titled, ‘Wall Street’s trillion-dollar money managers are under threat from a new breed of low-cost advisers.’ Business Insider was one of many media outlets discussing the threat that so called ‘robo-advisors’ posed to traditional financial services firms with exposure to wealth management businesses such as mega-firms Merrill Lynch and Morgan Stanley. The popular consensus in the media, and even amongst some industry experts, was that robo-advisors were a huge threat due to their disruptive strategies that followed the BSSE theories of both low-end and new market disruption. Much like traditional wealth managers, robo-advisors offer investment vehicles, investment advice, and diversification to clients in need of a place to invest money. However, where robo-advisors create differentiated value for their customers is by lowering barriers to adoption by creating a low cost, technology driven platform that allows robo-advisors to offer services without minimum client balances and with significantly lower fees than traditional wealth mangers. The wealth management industry captures value from clients by charging an annual fee for the clients’ assets managed by the wealth manager. As can be seen in the following chart, robo-advisors such as Betterment and WealthFront charge 0.15%-0.25% of AUM while traditional wealth managers like Merrill Lynch charge 1.0% or higher. For a client with $100,000 of investable assets this amounts to $800 taken from their account every year that doesn’t get the benefit of compounded investment returns, a significant sum. By creating a business model that removes minimum client balances and substantially reduces fees, robo-advisors have attracted clients that were non-consumers of wealth management services. These non-consumers generally fell into three buckets: (i) people with lower net worth but still some investable assets that were being underserved by existing options, (ii) people who refused to pay wealth managers 1%-2% of their assets, and (iii) younger people that were just starting to build investable asset bases that would grow as their careers matured, potentially the most important group of non-consumers to traditional wealth managers. In addition, over time, robo-advisors started taking away lower margin customers that were being over served by full-service traditional wealth managers. These customers were paying extremely high fees to have access to a team of advisors, constant investment recommendations, and actively managed funds. However, there were many clients, especially around the minimum investable asset requirements, that didn’t need this high level of service to meet their investment objectives. Robo-advisors were able to create a low-cost, technology driven model that better met the demands of these clients at significantly reduced fees. 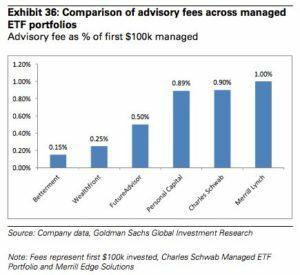 Most traditional wealth managers were comfortable letting these clients leave because the fee scale is calculated as a % of AUM and, as such, clients with smaller investable asset balances were served at significantly lower margins for the wealth manager. With such a strong value proposition that has led to tremendous growth, robo-advisors made headlines for their threat to disrupt the entirety of Wall Street’s money management business. A threat that large financial services firms such as Morgan Stanley haven’t taken lightly. As early as July 2016, Morgan Stanley publicly stated its digital wealth management strategy when Jonathan Pruzen, the company’s CFO, outlined a three-pronged plan: (i) improving decisioning analytics for both advisers and clients, (ii) implementing back-end automation for advisers to improve efficiency, and (iii) creating new ways for clients to interact with Morgan Stanley. At the time, the publicly announced strategy was rather vague and didn’t directly address the robo-advisor threat. The first prong of the strategy was aimed at improving the value proposition of Morgan Stanley’s offering relative to any differentiated value a robo-advisor could add through technology. The second prong was aimed at reducing cost to potentially allow Morgan Stanley to reduce fees to clients or improve margins. The third prong doesn’t give enough details to understand the actual impact. Fundamentally, these changes were aimed at sustaining the existing Morgan Stanley wealth management business and serving existing clients better. 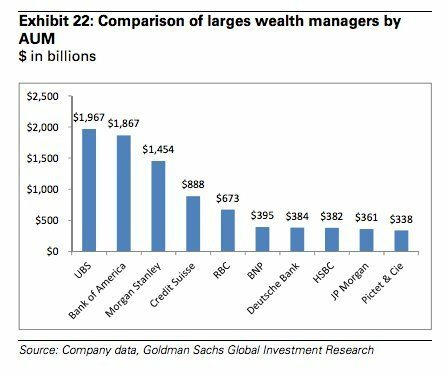 According to CEO James Gorman, the majority of Morgan Stanley’s wealth management assets were from households with greater than $10MM in investable assets while only 2% came from householders with less than $100k. Morgan Stanley was entrenching its business model and continuing to allow the new digital wealth managers to threaten the long-term viability of traditional wealth management businesses. Ultimately, Morgan Stanley launched its own, internally built robo-advisory business to serve the new market disruption that emerging robo-advisors were trying to address. Morgan Stanley launched this business in December 2017. The service launched with a fee of 0.35%, more in-line with the new generation of robo-advisory businesses. The minimum required investment is only $5,000, opening the service to many additional potential clients. The business is aimed at servicing younger clients with less complex demands than traditional Morgan Stanley wealth management clients. It took a long-time for Morgan Stanley to roll out their digital wealth management solution but strategically it appears to have ended in a logical place. 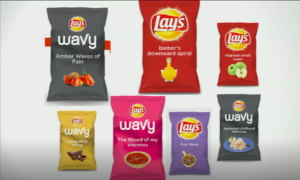 They have addressed both threats to their core existing customer base, churn of low margin clients as well as non-consumers who become target clients over time. 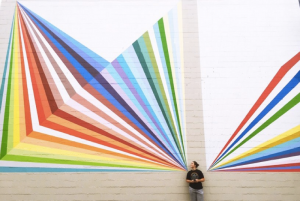 Morgan Stanley has introduced technology to improve the customer experience with digital analytics tools and strategies to serve existing customers better. They have also introduced efficiencies through digital technologies to allow the wealth management division to operate at a lower cost basis. From the perspective of robo-advisors stealing lower margin customers, Morgan Stanley has both reduced cost within the traditional wealth management services, potentially allowing marginal customers to consume a lower-touch form of service at a lower price, as well as introduced a low-cost robo-advisory business for marginal customers who value lower fees over high-touch services. Finally, from the perspective of potential new market disruption, Morgan Stanley has reduced barriers to becoming a client and reduced fees to open the doors to non-consumers of Morgan Stanley’s wealth management services. This should provide a new growth business for Morgan Stanley and provide an avenue to attract younger customers that are able to ‘graduate’ to higher touch services as they accumulate more assets over the course of their careers. I wouldn’t be surprised if this last element was what drove Morgan Stanley to open the robo-advisory business. Allowing potential future high net worth customers to explore and be served by alternatives early in their careers was likely a concern for the future viability of the traditional wealth management business as generational shifts of wealth management services occur over the coming decades. It will be interesting to watch the industry develop over time. I personally feel as though traditional wealth managers that are able to stratify customer groups into different service levels with the appropriate level of strategic attention on each of those businesses will be able to prosper despite the disruptive threat of robo-advisors. However, Morgan Stanley will have to embrace a new culture within their in-house robo-advisor, which ultimately may prove to be difficult. Interesting post, HBS123! I like the idea of incumbents leveraging robo-advisors as a way to engage younger clients, whom the firms can then ladder up into their higher margin wealth management businesses. I think robo-advisers certainly reduce the barriers to invest for younger customers, typically put off by the formality and fees of traditional financial advice. However, another major opportunity for robo-advice is in providing it as part of a “hybrid” solution along with a traditional advisor. A hybrid solution could be more appealing to older, higher net worth investors whom research suggests also want access to better digital tools when it comes to their investments. These higher net worth clients may still value the human element, but it seems they do want the ability to do more self-directed. Providing a hybrid solution, therefore, may increasingly become something that an FI like Morgan Stanley needs to provide in order to attract and retain higher net worth customers. Lastly, I’m intrigued by the potential of robo-advisors as a tool for lower net worth investors. It’s essentially infeasible for traditional advisors to work with clients that have less than $50,000 of investable assets or so, meaning that a huge portion of the population hasn’t really had access to financial advice. Robo-advice changes that, opening up the opportunity for FIs to manage these clients’ wealth profitability, a highly important development for the vast majority of the population. When it comes to fees, part of the reason robo-advisors are able to provide cheap solution is the fact that they invest in passive funds only. This is in contrast to what MS offer their clients, i.e. they offer either internal or external active mutual funds, which tend to come at a higher rate. Given this, do you believe MS runs a risk of cannibalizing parts of it business by offering cheap robo-advisory solution? I agree that robo-advisors will not fully replace financials advisors. This is partly because in Private Wealth Management/Private Banking, there is usually a division of roles between the Relationship Manager (RM) and the Investment Advisory (IA) team. One of the reasons for that division is that the firm wants to maintain the client relationship within the institution even if they lose either the RM or the IA. Another reason is that it enables the IA to specialize in financial advisory and the RM is able to focus on the building and maintaining relationships, understanding the clients’ needs and catering for them. Given that separation of roles, I do believe that these Robo-Advisors threaten more the IAs rather than the relationship manager. The roles for these Relationship Managers for High Net Worth individuals might shift and it might one day disappear, but that won’t be for at least another twenty years and that will happen when the High Net Worth Individuals of our generation, the millenials, will be good with trusting their money to machines without any personal interaction with a human being. It is true that today these robo-advisors are passive investments, but that is shifting slowly and will shift even more as those machines develop the skills to invest actively. If that happens, what these robo-advisors will do is create demand for a new role of investment advisors, who will build, improve and monitor the algorithms that those advisors use, but would also understand and interpret the data that those algorithms produce. Is investing an art or a science? Or is it both? I think that in searching for that alpha, it is both – this will be even more so the case in the future, as machines -unlike humans – might be making decisions from the same/similar data-set, and have similar investment rules guiding their decision-making. 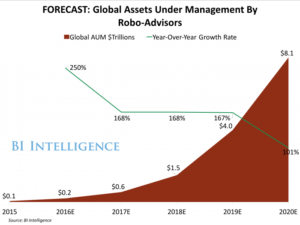 Currently, robo-advisors are covering the investment part of the MS’ service. But once they build the capability to interact, understand humans’ needs and invest accordingly, then it is a different ballgame. Although, this may take a while for it to happen. To answer your question, I do not believe that MS is at a risk of cannibalizing its own business in the near future – for the reasons cited above. However, even if one day, it might do that, MS is better off cannibalizing and disrupting itself, rather than wait to be disrupted from the outside. The biggest threat I see is compliance. The financial services industry has been rocked by scandals in the past where people end up losing a lot of money. In the aftermath, the SEC goes after firms to punish them and tries to convict them based on failures in their compliance policies and procedures (e.g. they will find an email that says we will make more money if we sell product a over product b). If someone sues for losing money with a robo-advisor, I wonder if all the compliance policies will be buttoned up enough to survive lawsuits. As finance become digitized, it would be interesting to see if the law will catch up on that. It seems that since Trump got elected, finance is re-deregulating itself and that would mean that robo-advisers would not be liable for any scandal. I would also argue that companies will be able to hide behind the technology, blaming the algorithms and not those who designed those algos. I think unless there is a criminal intent, whereby it could be proven that harm was done in a purposeful way, then it would be able to go after those who built those algos and the institutions owning them. But for the near future at least, I think robo-advisors are safe from compliance and legal action. Although, I would be interested to hear more from lawyers or any expert in this subject matter.